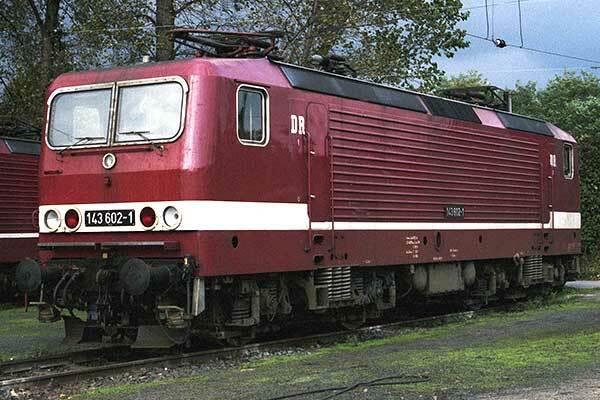 Caption - DR 143 602-1 is one of 500 Bo-Bo electric locomotives delivered between 1984 and 1989. Originally they were classified as BR243. In 2016 a declining number of these versatile and popular locomotives remain in service hauling passenger trains across the German network.